Not to mention the fact that I've put them on a good many times on my own accord. 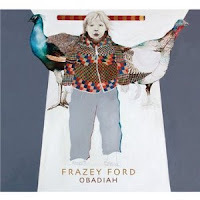 Due to the fact that these albums seem like folk classics by now makes me wonder at the small amount of press the solo album from Be Good's lead songwriter Frazey Ford is getting. I feel like I know a dozen people that would buy it simply on the fact of her association. So, if you're like these dozen people and didn't know, now you know. It's called Obadiah and it came out today.